Among the most spectacular deep sky objects there are globular clusters. These very crowded families of stars (reaching sometime the number of one million!) live in the so called galactic halo: a spherical region embracing the whole structure of the hosting galaxy. Their stars are really old, with an age comparable with that of the whole Cosmos. Our Milky Way shows about 160 globular clusters, ranging from very bright to incredibly faint ones. Late in the night the Spring sky offers a good number of them. 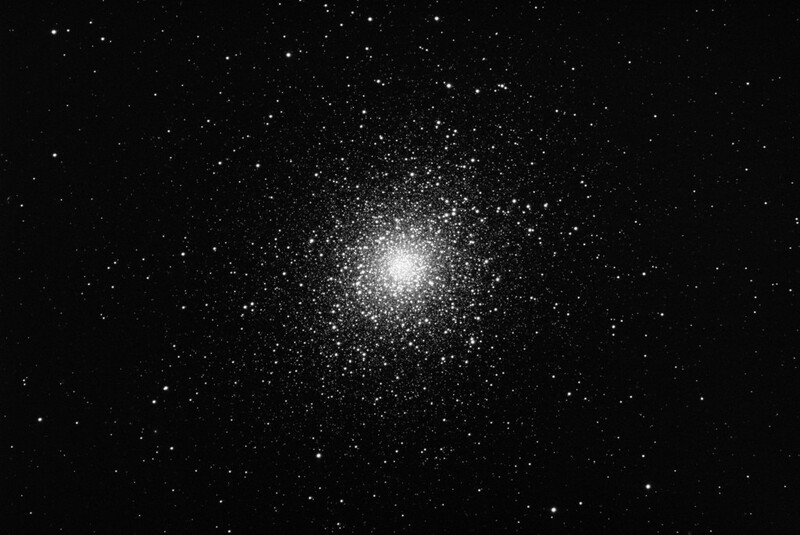 Globular clusters are particularly spectacular when seen/imaged with a powerful telescope, able to resolve them. Messier 5 (more data) is one of the most beautiful . Discovered in 1702 by Gottfried Kirch, it is located at about 25.000 light years from us, in the constellation of Serpens (caput). Under very dark skies, it can be barely seen with the naked eye. The image above is the average of 19 unfiltered frames, each integrated for 60 seconds with the PlaneWave 17 robotic unit part of the Virtual Telescope Project. The image has a scale of 0.7″/pixel.